There's a whole VM Channel on Veoh. 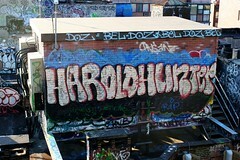 I fear this new urban movement to stalk and capture Harolds for sport. We are not an animal!